CC Outdoor Living 10" Stone Gray and Bronze Textured Round Floral Garden Stepping Stone | Fountain City Art Ctr. 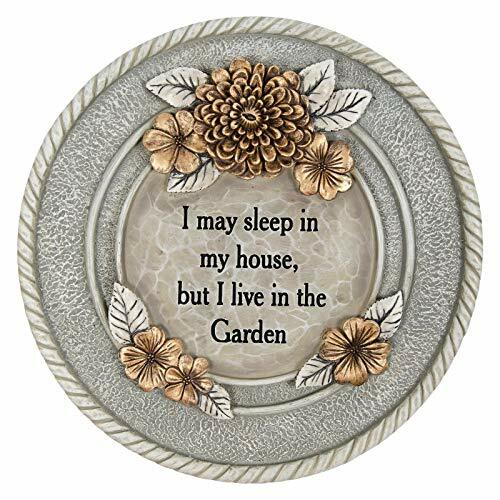 Features the sentiment "I may sleep in my house, but I live in my garden"
If you have any questions about this product by CC Outdoor Living, contact us by completing and submitting the form below. If you are looking for a specif part number, please include it with your message.